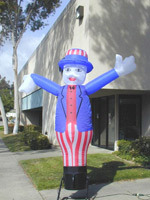 TUBE DUDES and TUBIES - Patriotic Red, White & Blue options. 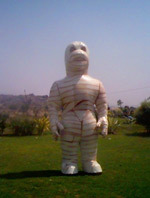 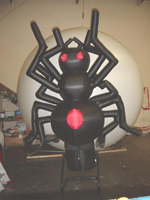 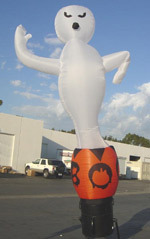 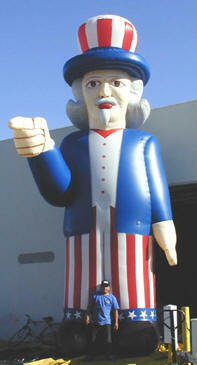 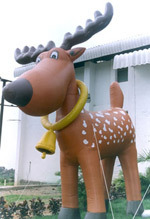 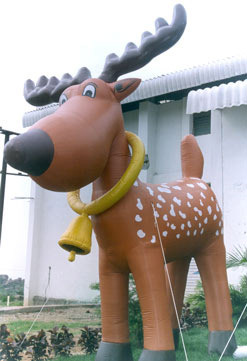 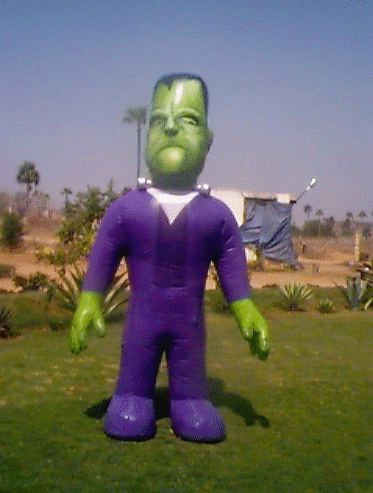 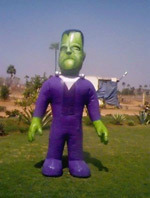 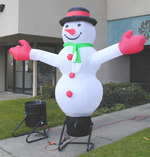 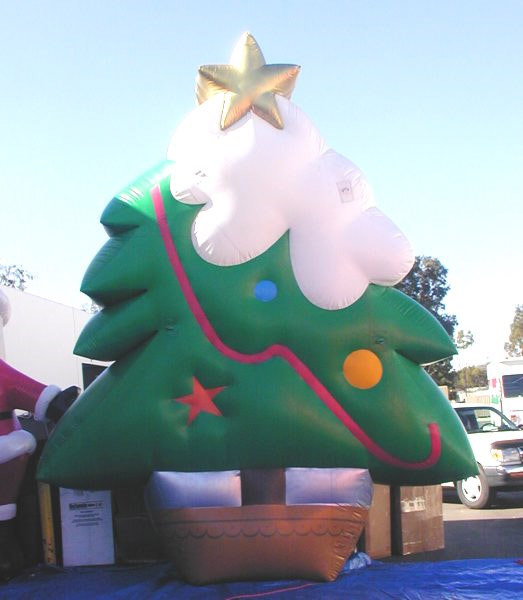 CUSTOM INFLATABLES - Our design team works with your vision. 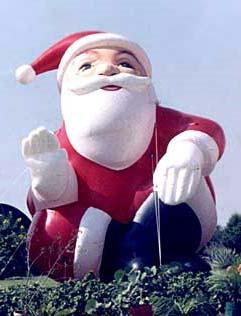 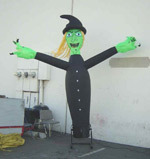 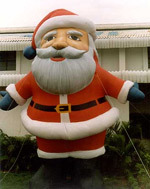 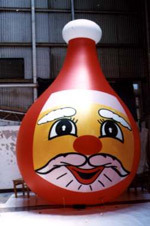 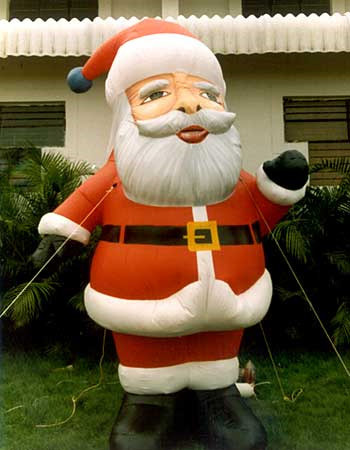 INFLATABLE COSTUMES - Santa, Dracula, Uncle Sam... Our designers can craft any character from photo or drawing into larger-than-life figure, while keeping the person inside cool and comfortable. 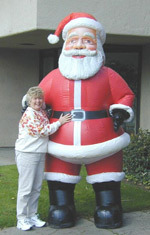 GIANT INFLATABLE BALLS - Digitally printed with holiday motif. 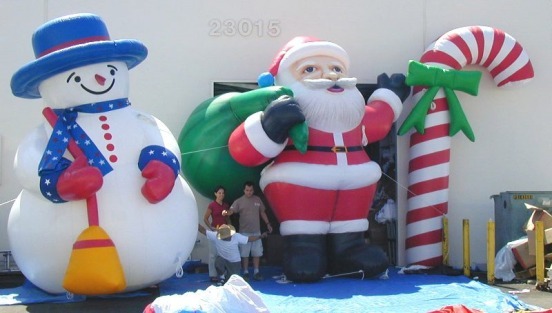 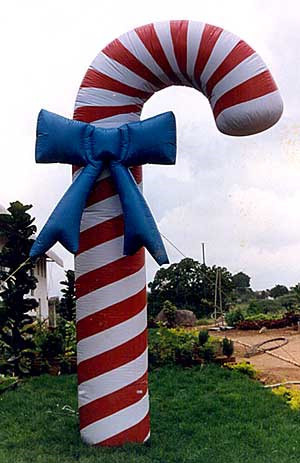 INFLATABLE TENTS, ARCHES & KIOSKS - Create an entrance or focal point with a holiday theme.